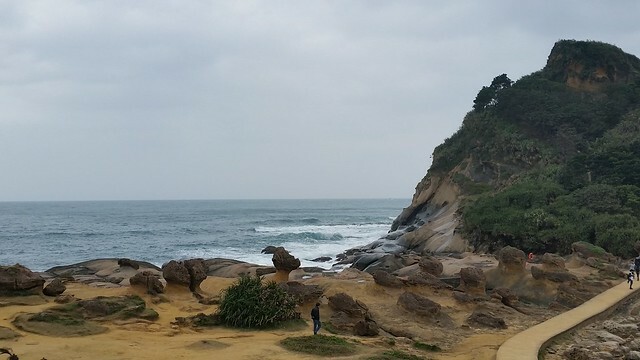 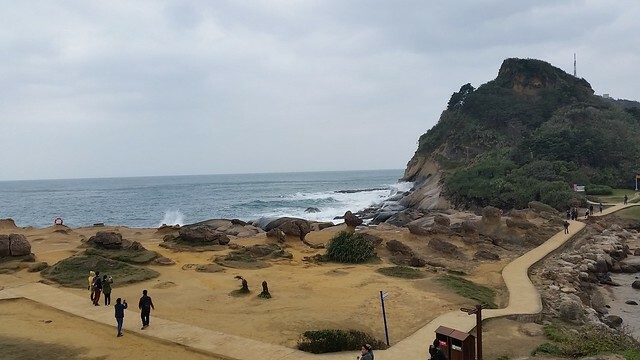 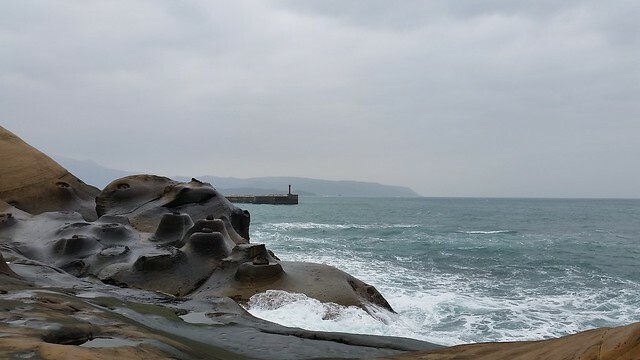 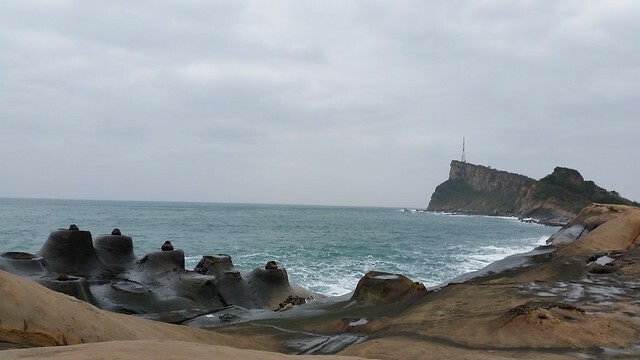 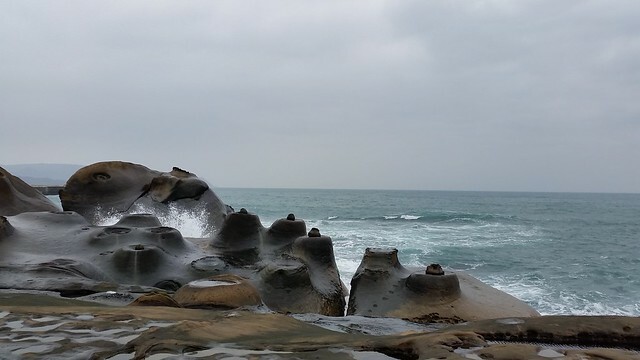 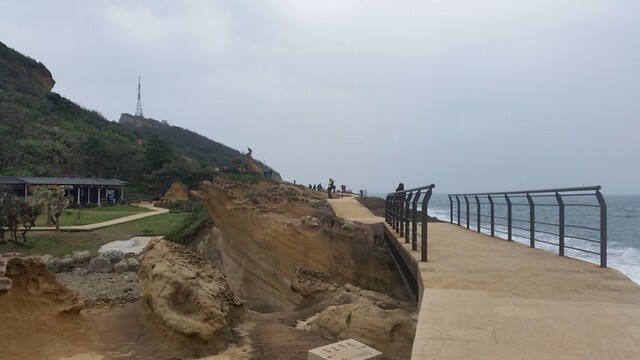 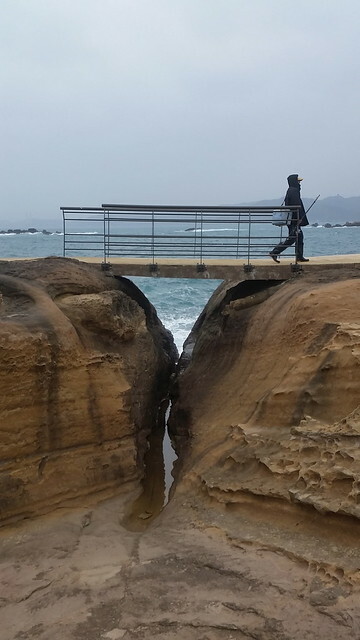 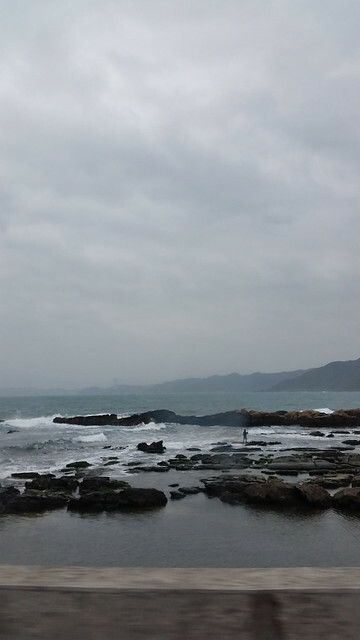 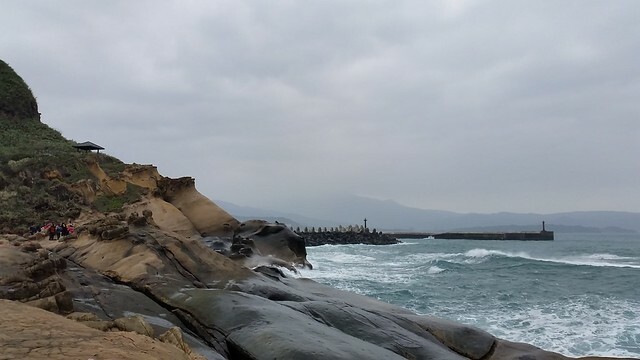 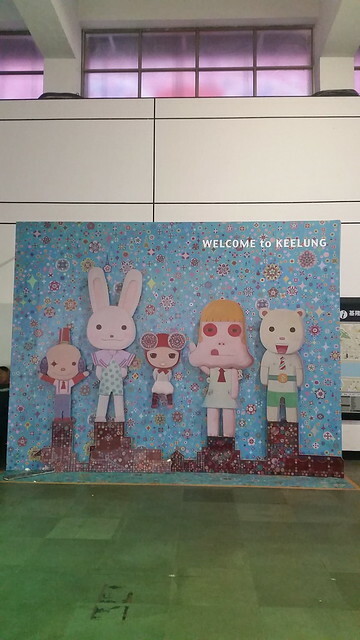 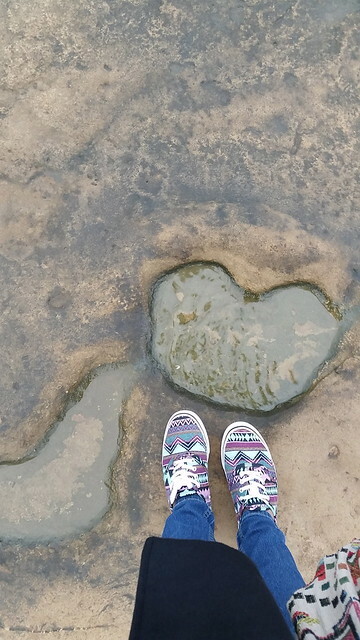 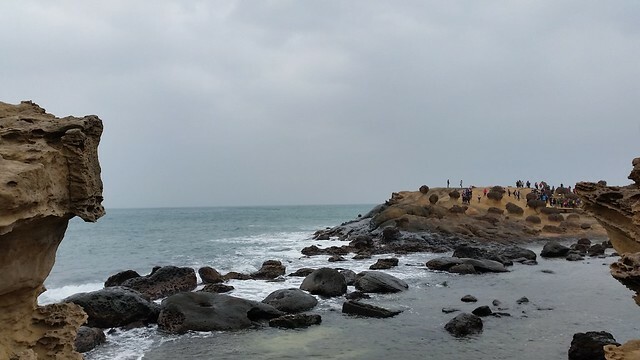 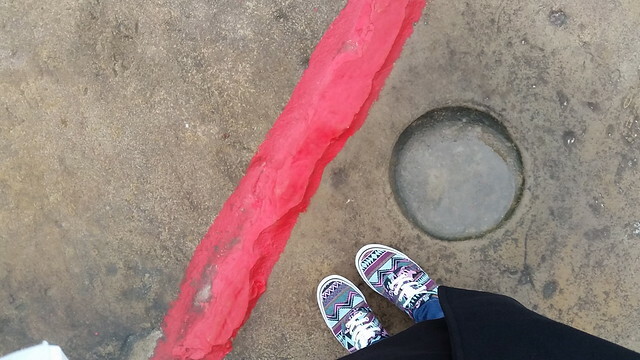 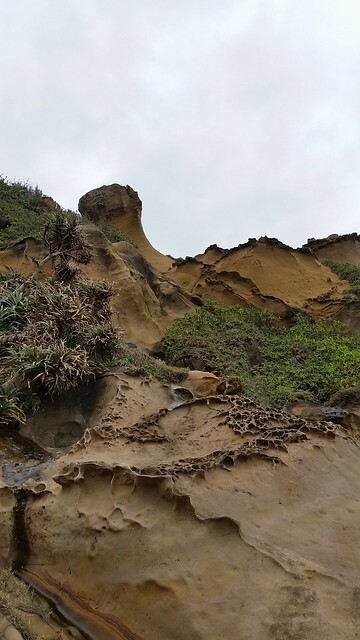 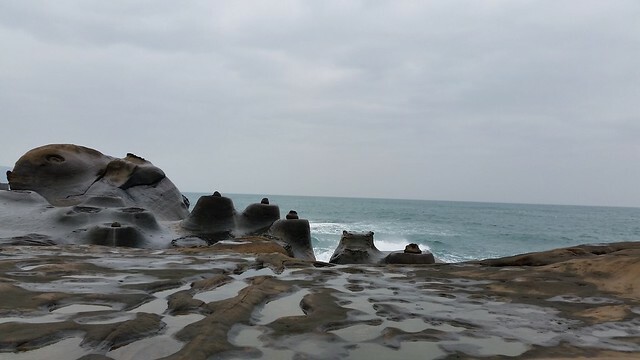 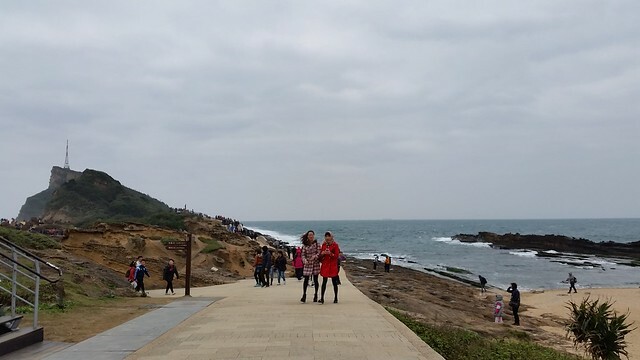 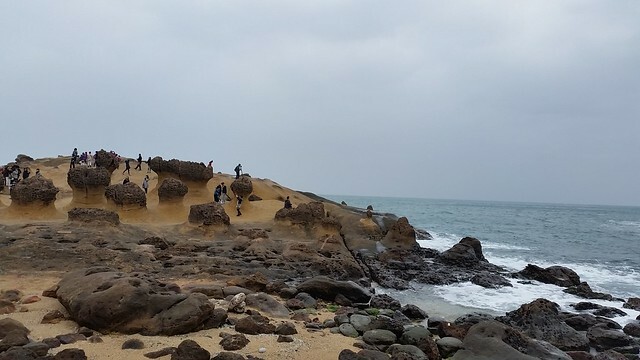 [Northern Taiwan]~Braved the Cold in Yehliu | I am no travel planner. 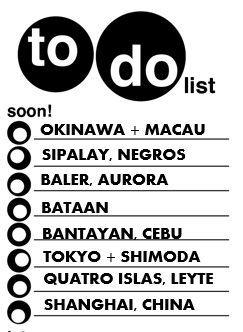 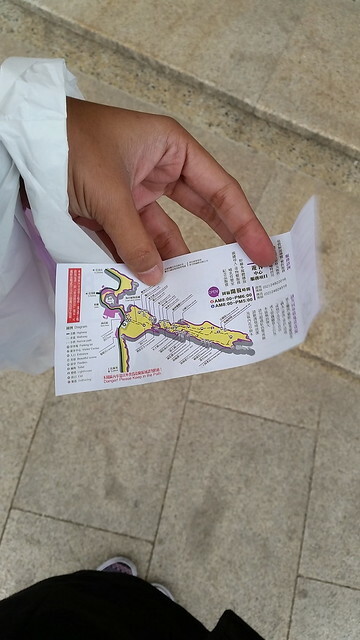 While there is still more to see in the city itself, I dedicated that day for somewhere outside after having read of a convenient way for a solo traveler to see several spots using one pass. 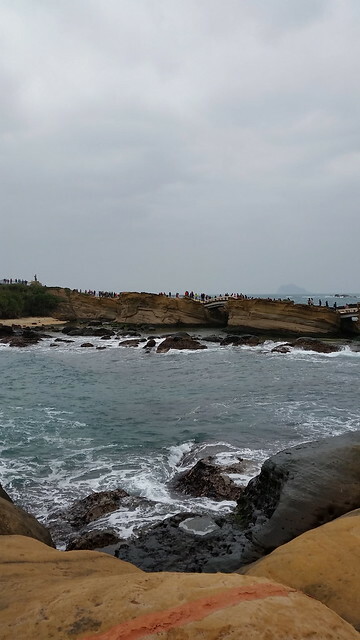 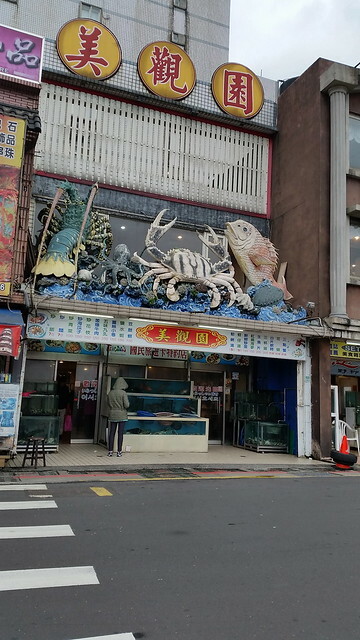 This place is one of two kick-off points (other is in Tamsui) of the shuttle that goes around the north coast of Taiwan. 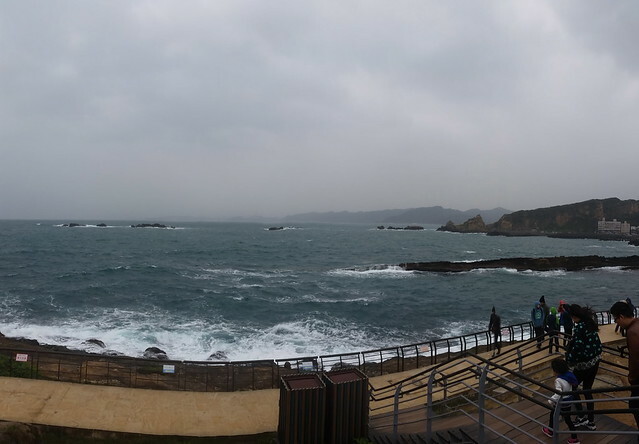 It was a quiet morning when I arrived and apparently I was still too early because the tourism office was still closed then. 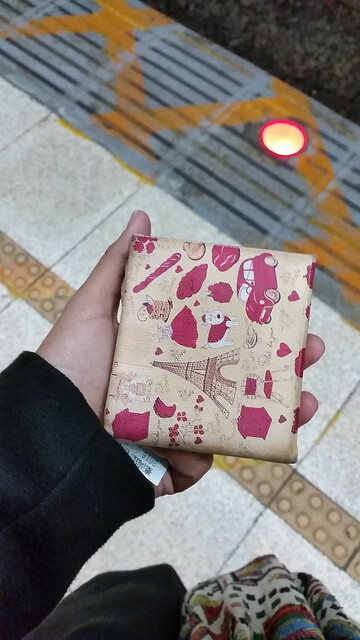 I killed time walking around the station, grabbed some cute tummy-fill I could take to the bus. 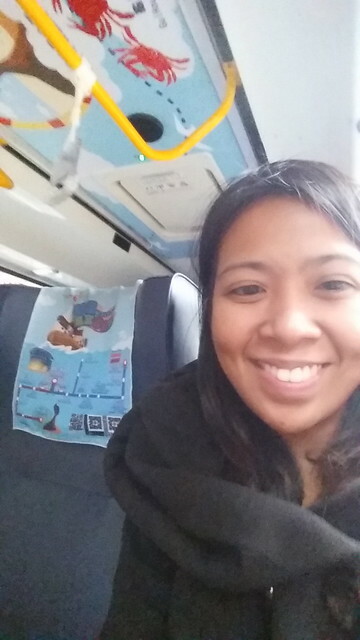 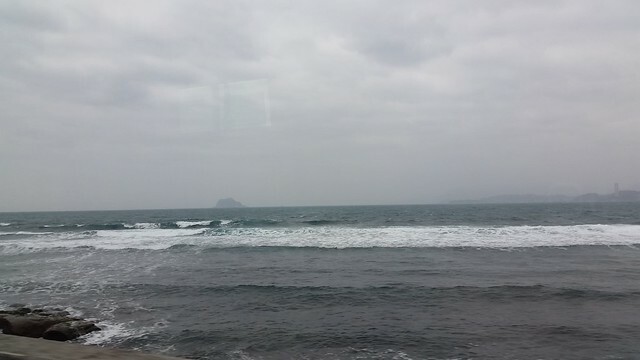 There were only few passengers with me on the bus that I found a comfortable seat by the window with view of the sea. 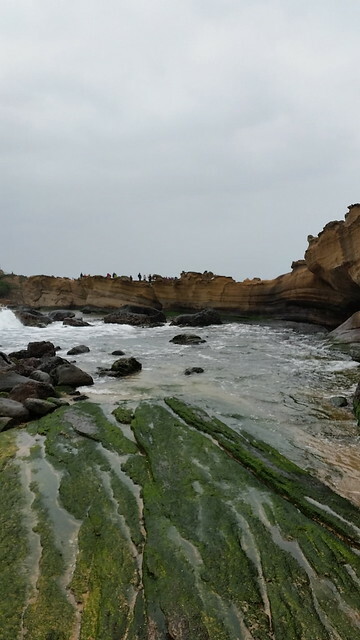 Even prior to searching for its known formations, geopark from afar in its entirety is already beautiful, especially in contrast with the sea – which to me felt oddly different from the calming effect I usually get when I go to beaches. 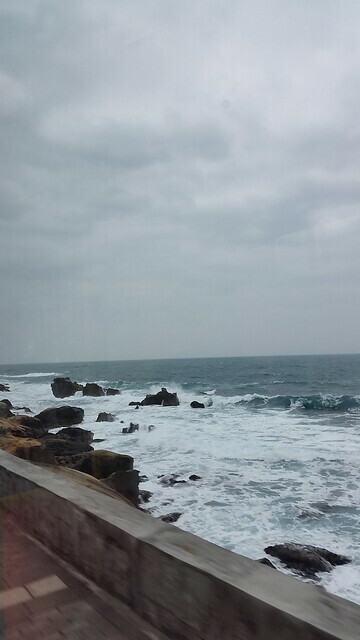 The sea on this part of town to me felt rough, almost angry. 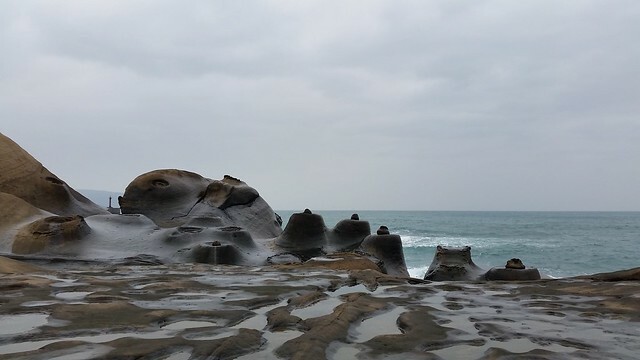 Below are some snaps of rocks – some popular ones and some just popular in my imagination. 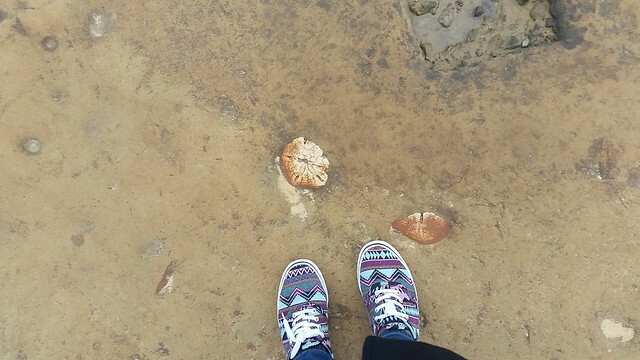 First section of the park I explored is this sea of mushrooms. 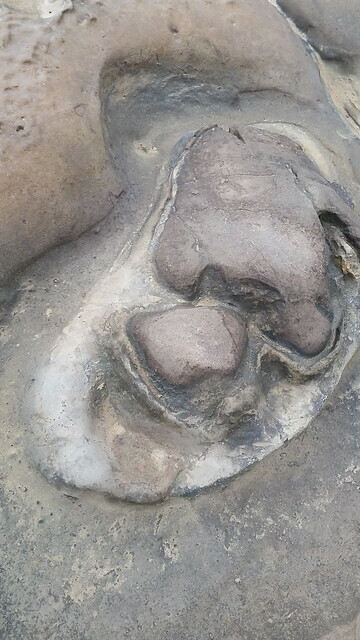 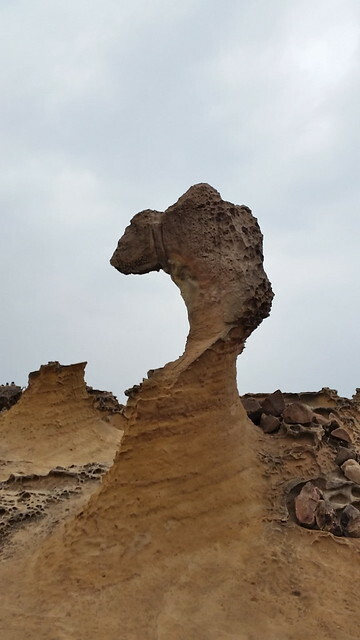 Is it just me or does this look like a man with a giant nose? 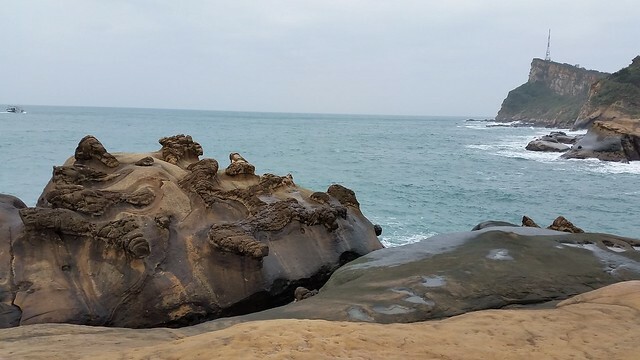 Can you spot that carp rock? 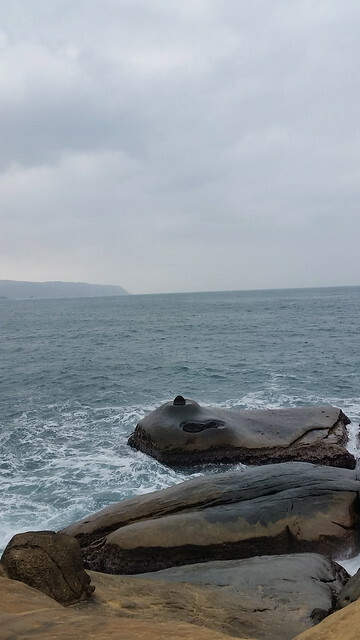 Can you see a girl’s face? 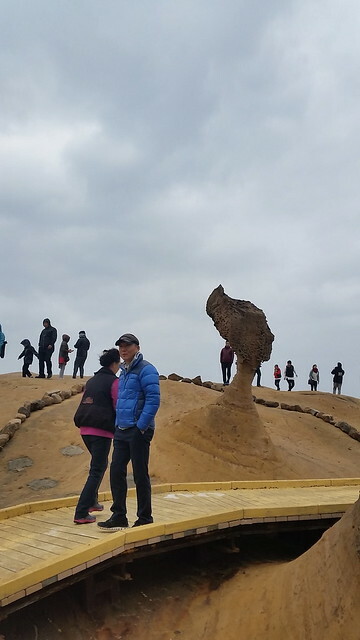 It was impossible to take a photo of the Queen without photobombs so I was lucky with this one! 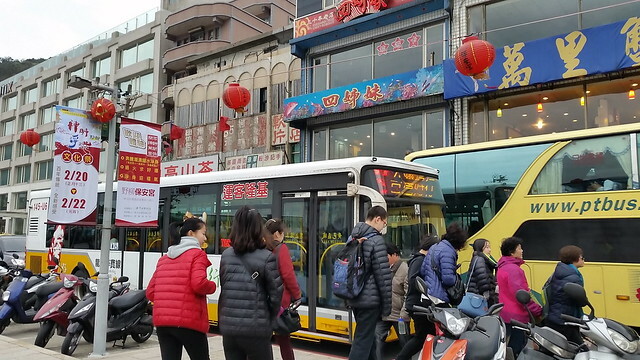 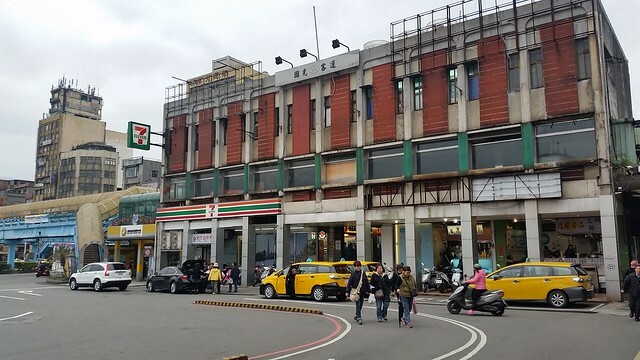 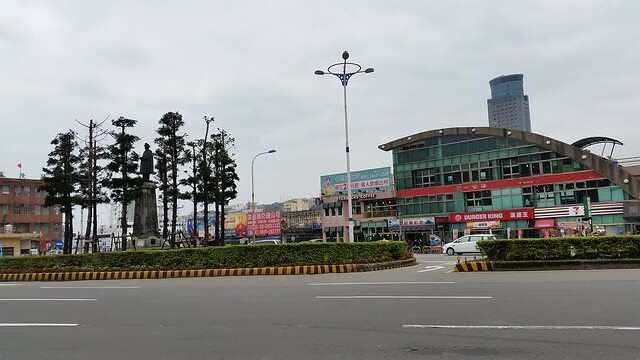 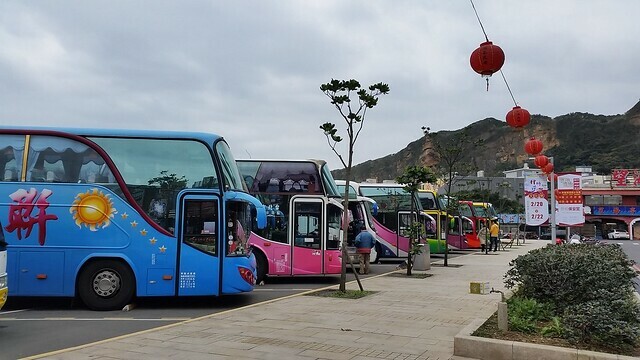 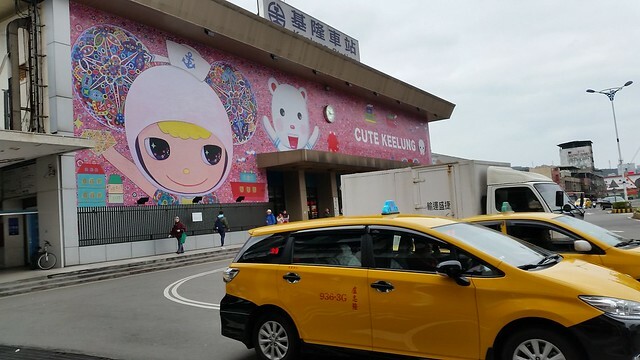 By North Coast Shuttle Bus from Keelung, one may take the North Coast Shuttle bus NT200 all day unlimited rides from Tamsui and Keelung stations. 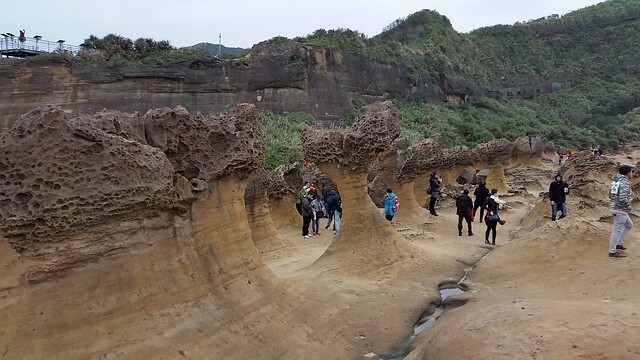 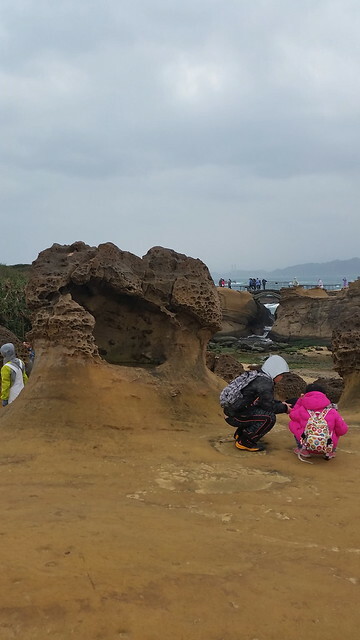 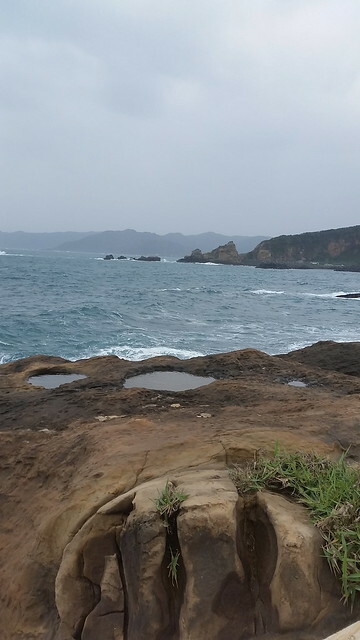 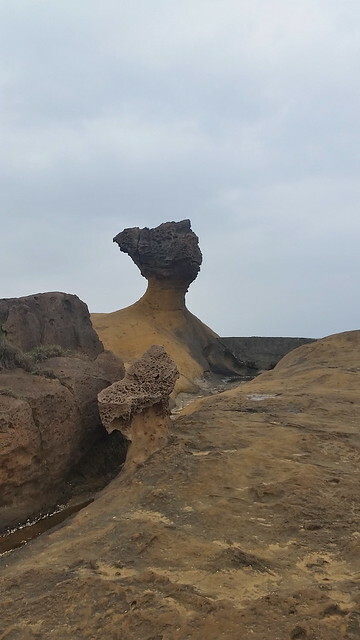 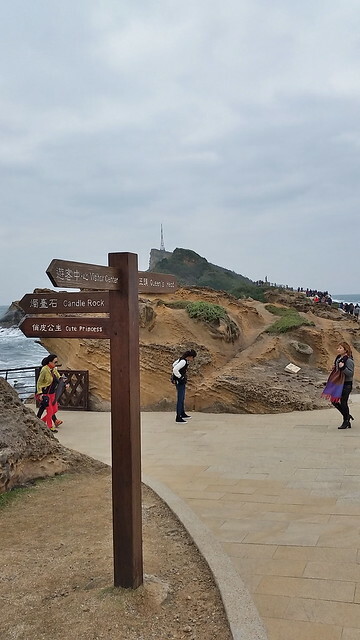 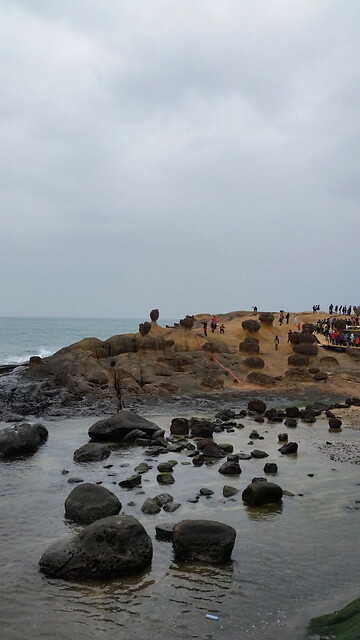 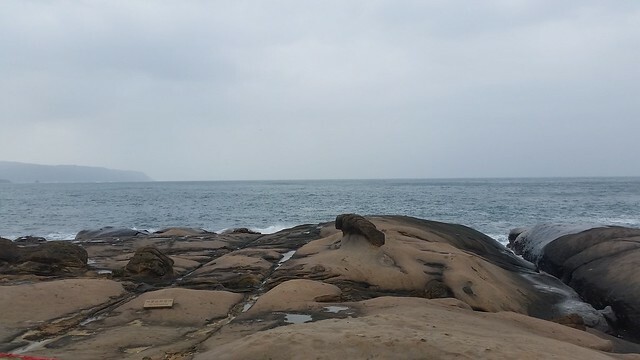 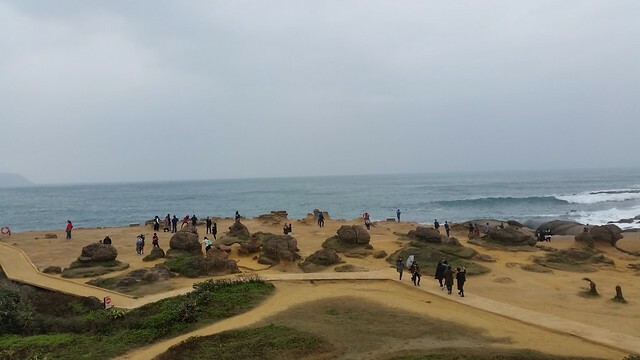 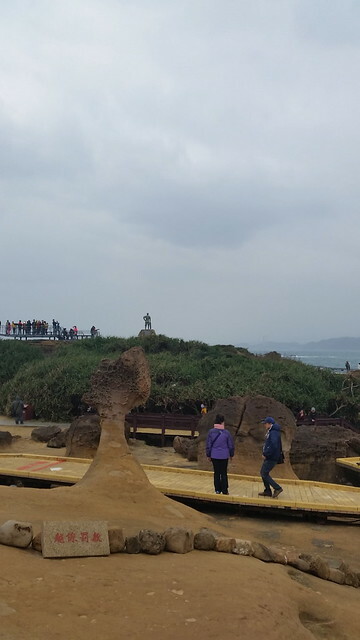 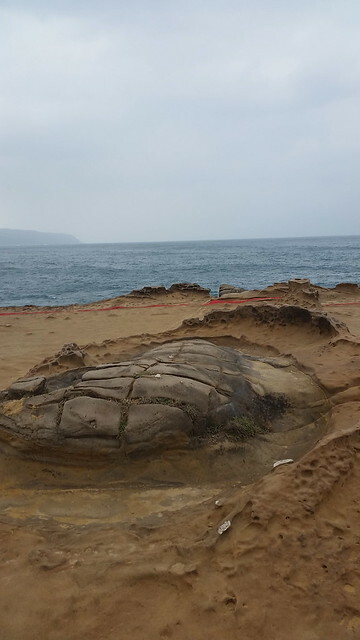 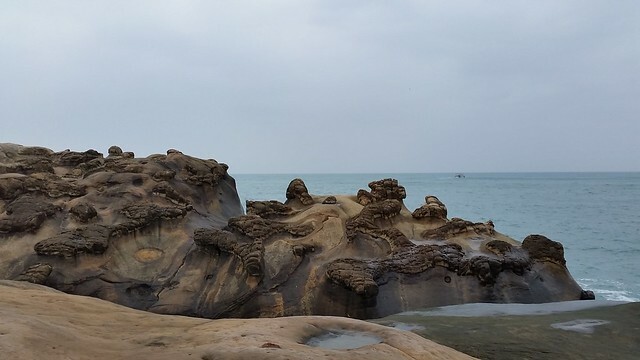 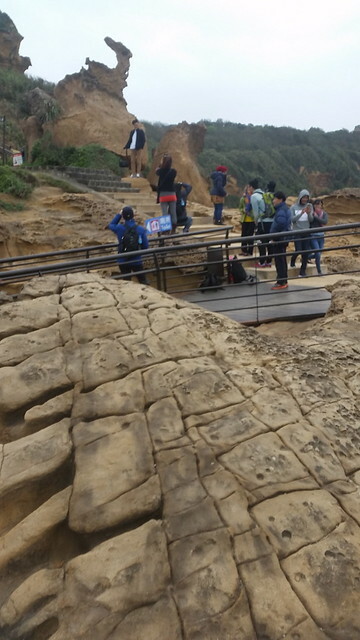 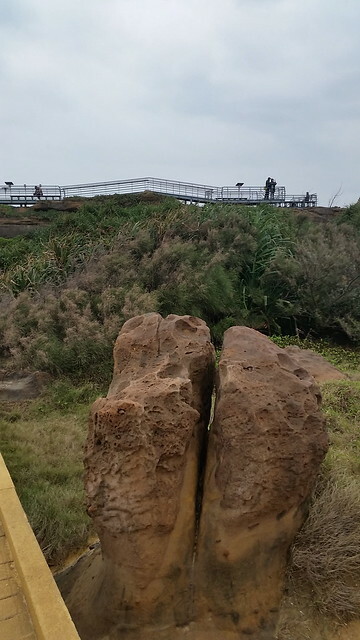 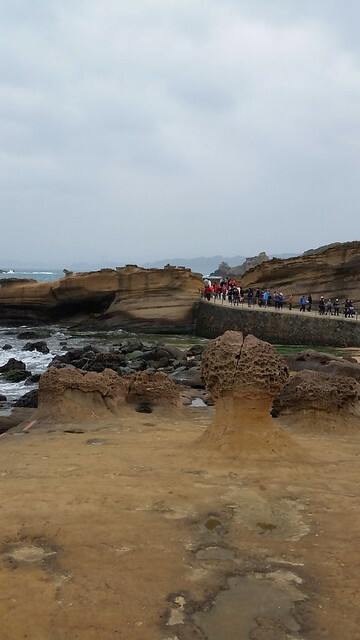 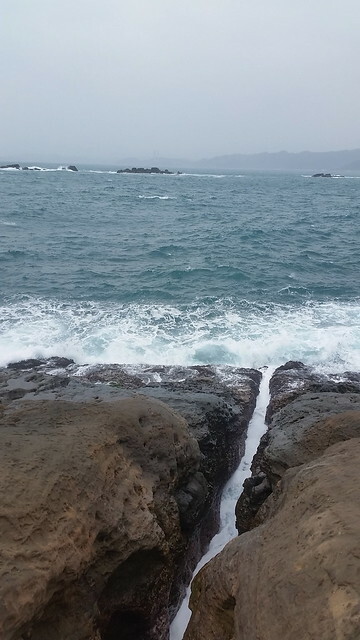 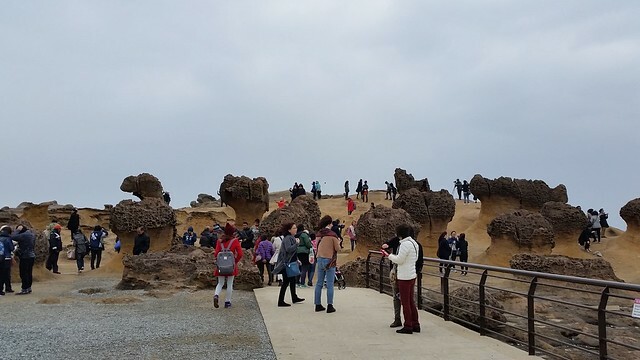 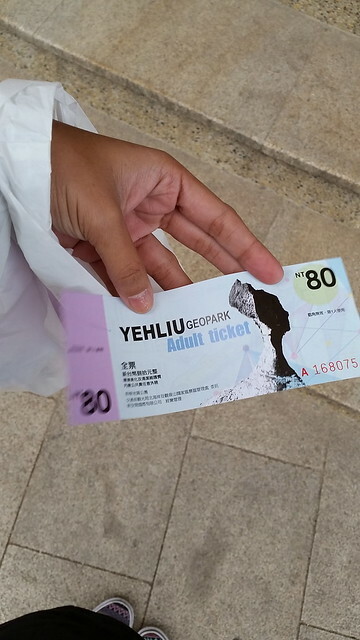 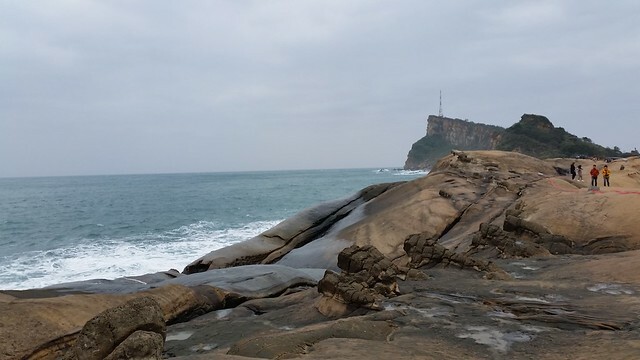 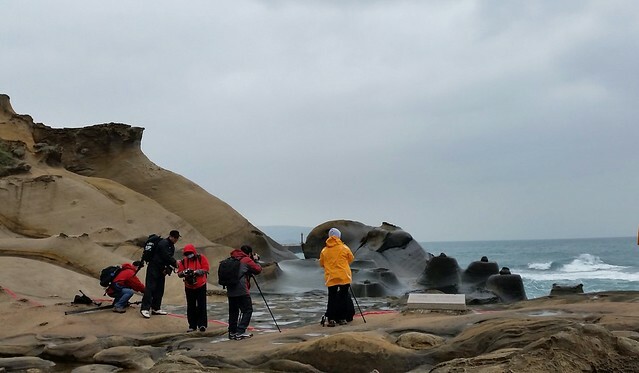 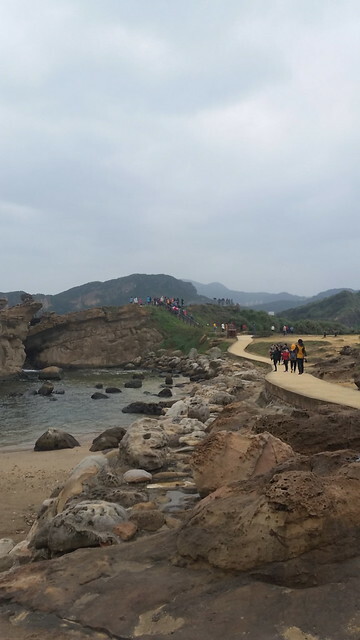 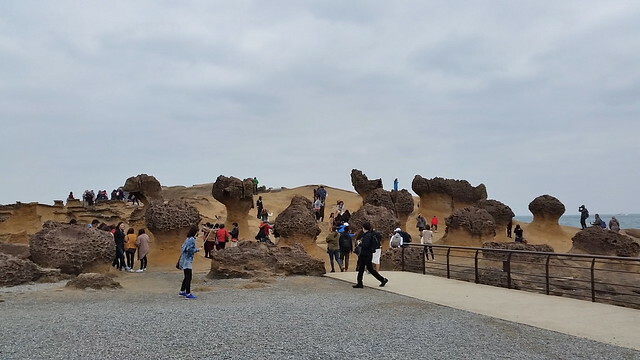 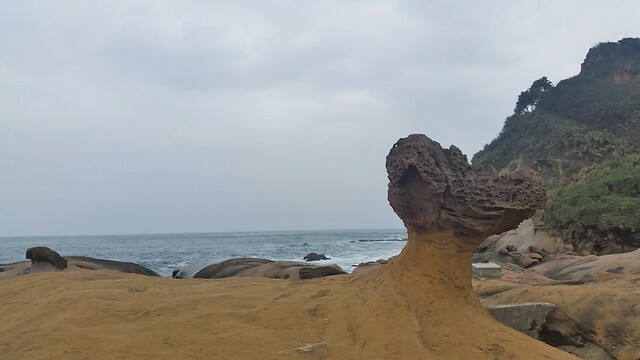 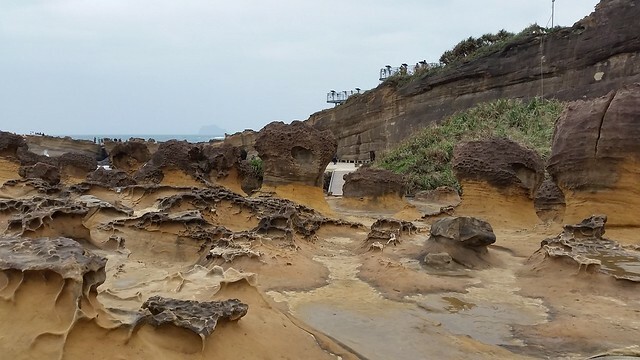 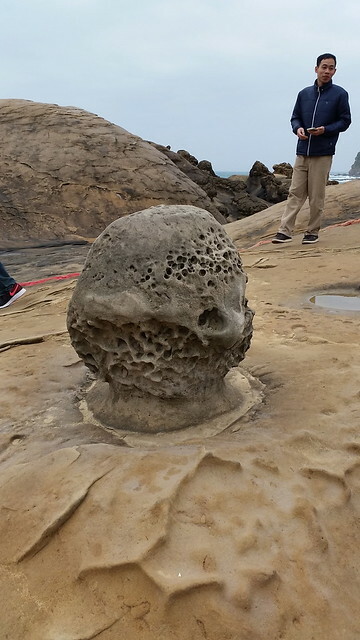 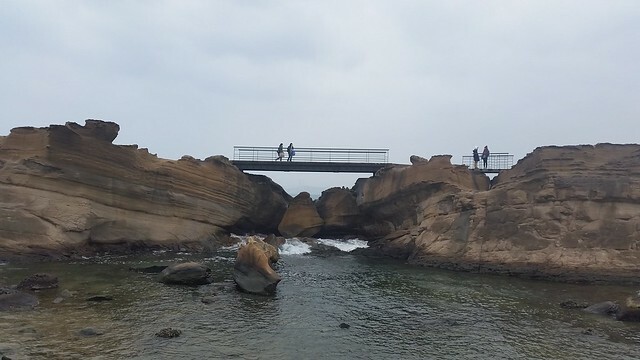 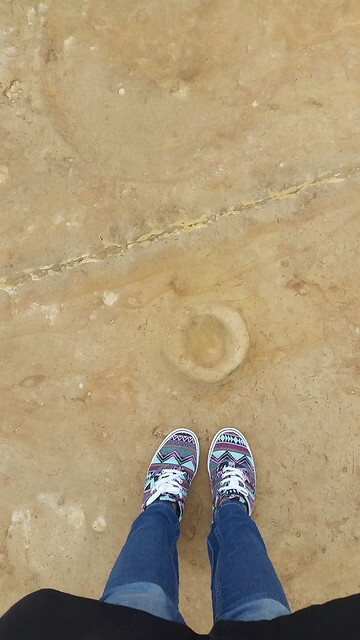 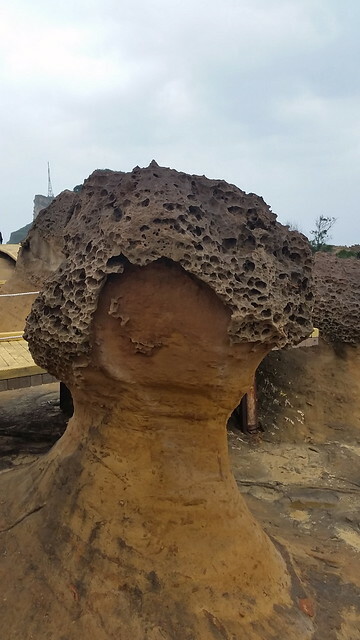 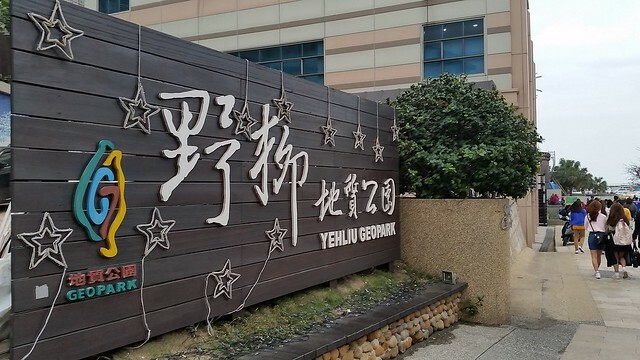 Yehliu Geopark is open daily from 8.00 am to 5.00 pm. 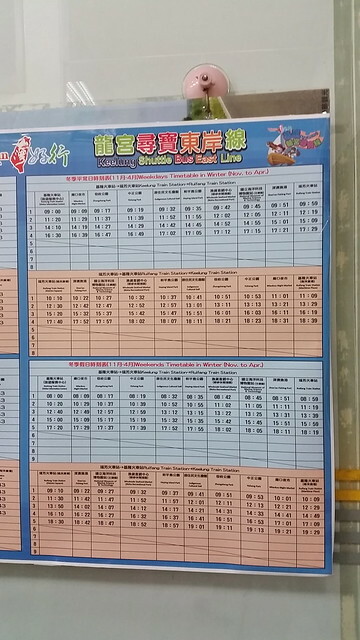 However, the hours of operation may be extended to 6.00 pm during the month of May to August. 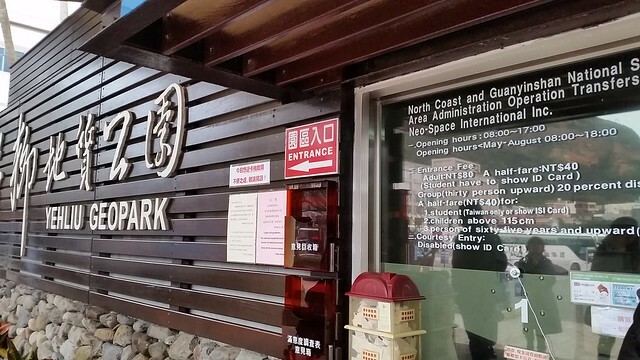 Read more about the park in this link. 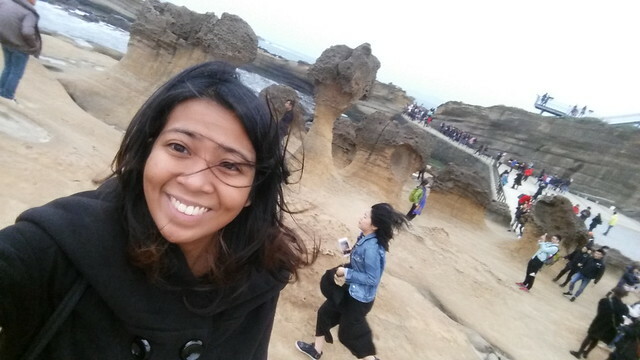 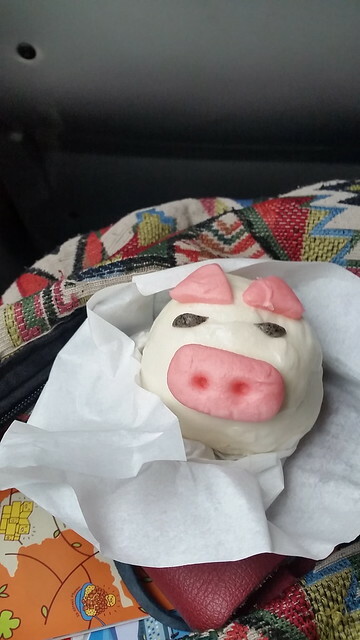 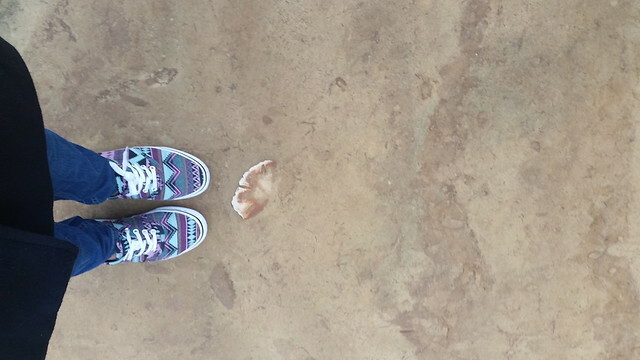 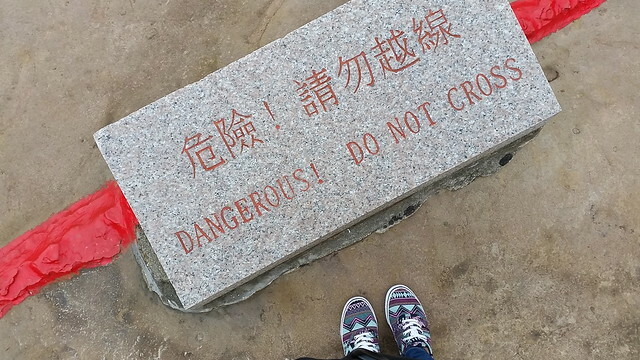 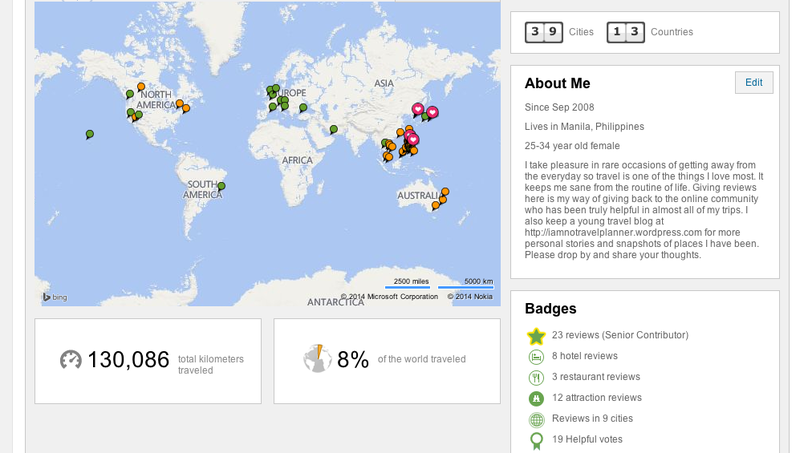 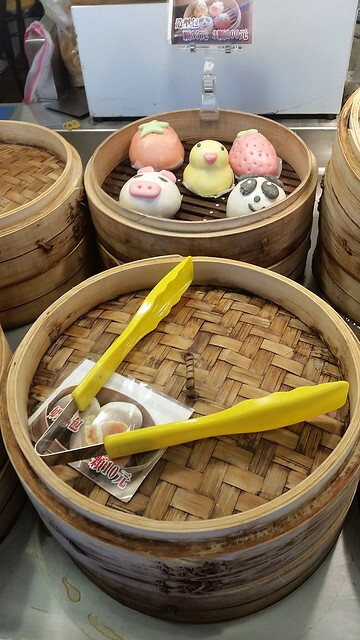 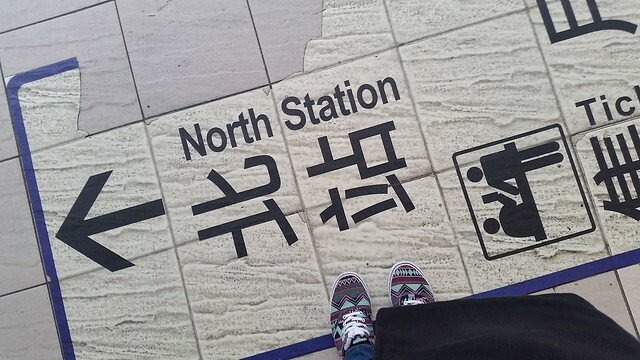 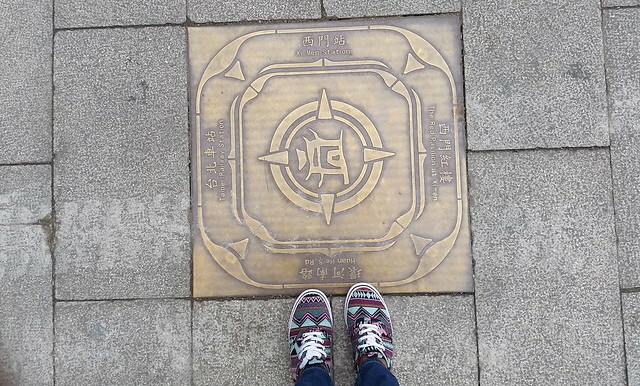 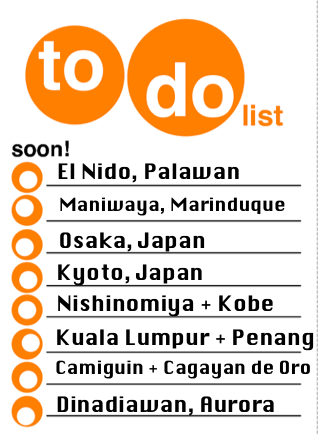 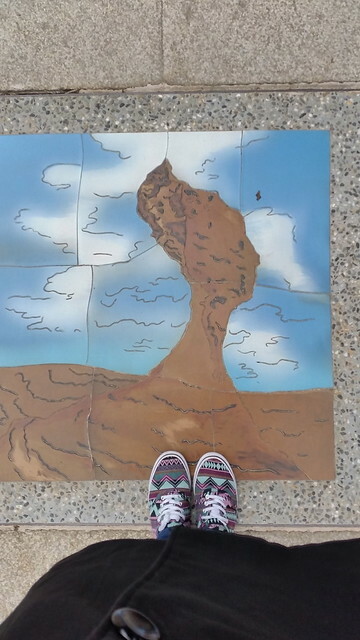 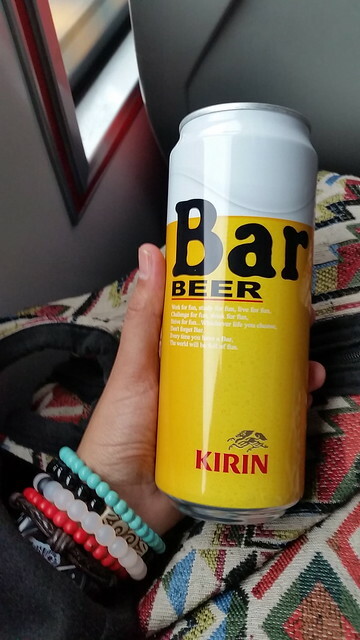 Pingback: [Taiwan] ~ Hours of Firsts and Goodbye | I am no travel planner.